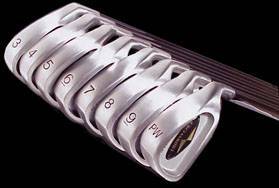 Research in visual perception shows that traditional Irons are difficult to align to the target, but the level TOP-PLANE and ALIGNMENT INDICATOR of the Thomas Golf Irons, make for easy alignment of the club to the target line. 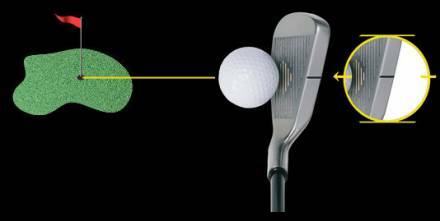 The golfer's feet, hips, and shoulders can then be easily set up parallel to the indicator and target line. Professional instructors around the world emphasize these factors as the essential elements to achieving a successful swing and ball flight. 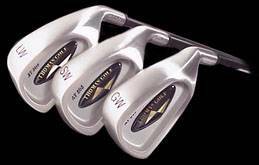 I'm sure you've heard the phrase, "Most golf shots are missed before the club ever moves". You can have the best swing in the world but, if your alignment has you aiming off target, you have little chance for success! 1. If you line up right of the target, the only way to get the ball to the target is to swing over the top or from an in/out path rolling the hands over to shut the face down through impact. 2. 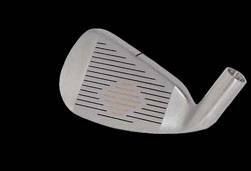 If you line up left of the target, then you will either swing out/in holding on to the clubface open or drop the golf club inside on the initial downswing to get a sensation of swinging a more in-to-out path. Neither of the above are very efficient ways to play golf! 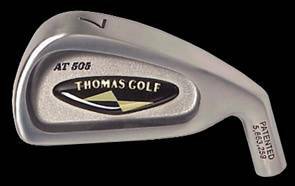 Thomas Golf Irons give you an exceptional advantage over other brands by making it easier to aim and align your shot to the target.